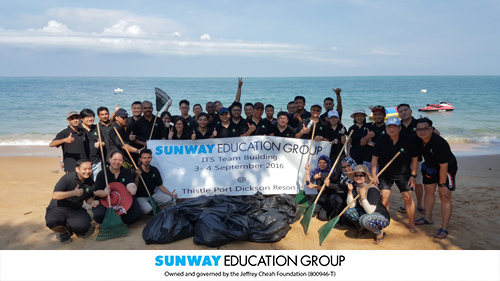 On 4th Sept 2016 Sunday morning, 35 ITS team building members happily headed to Port Dickson Thistle Resort beach, not to chill out but to get their hands ‘dirty’ at the beach clean-up programme. 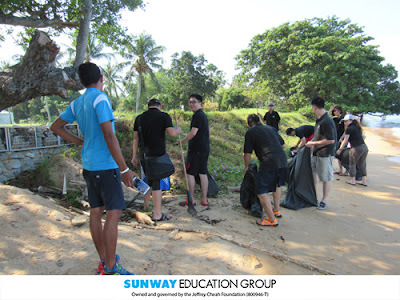 The team split into 2 groups and start their beach clean-up mission in Gotong-Royong style. 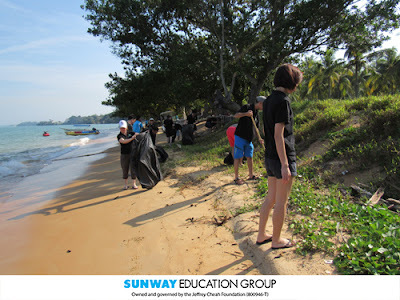 All kind of garbage was found and collected, such as plastics bottle, cigarette butts, broken glasses, bottles, sharp woods, Styrofoam container, plastics bags that pollute the beach and may have immediate negative impact to environment. The effort was highly appreciated by the resort management. It has attracted attention and participation by other beach goers including children during the event. As a result, beside collected 4 bags full of trash, testament from the active engagement and conversations among those people present at the beach that morning, it has definitely sparked awareness among the team members and strangers. ITS is the first department in SEG doing such beach clean-up CSR. We hope to see this spark to continue burning and spread, a noble way to educate our society taking care of our beloved paradise land. 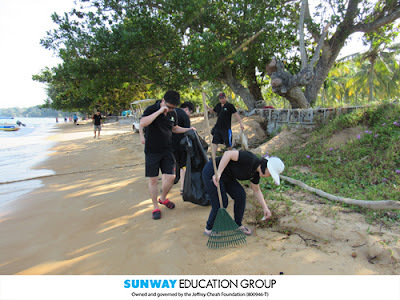 This will lead towards preserve our environment and reduce carbon emissions, achieved by just a simple act, start with lending our hand to clean-up beach trash.